There’s never been a better time to experience Chicago, Broadway’s razzle-dazzle smash, at The State for 4 performances only February 15-17! 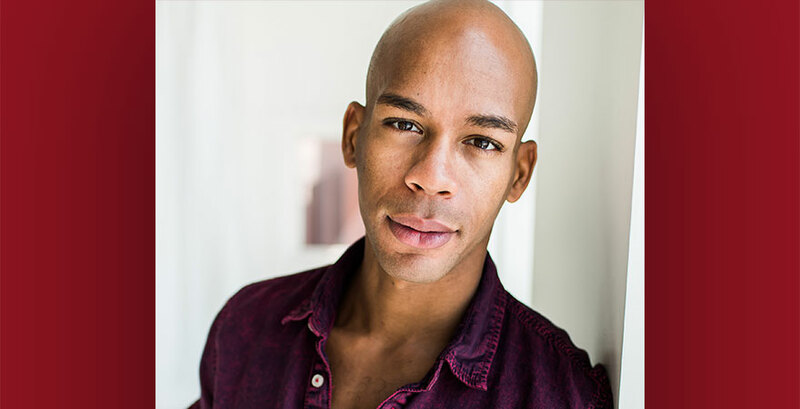 NJ Native Kyle Dupree joins us to discuss his journey to joining the show and what it's like performing in such an iconic show. Bert: Hello again and welcome to All Access with State Theatre New Jersey. This is the show that takes you backstage, behind the scenes, and behind the curtain at the legendary State Theatre in downtown New Brunswick. It is Bert Baron joined by Kelly Blithe, the State Theatre’s Director of Communications. Hello, again, Kel. Bert: It’s hard to believe that we’re moving from January into February. And, boy, business is picking up at State Theatre, isn’t it? Kelly: Oh, is it ever, Bert. I mean, February has always been a busy month for us, especially with our Family day, for sure, on President’s Day. But we always have a big musical in February. Kelly: Yes, and this year is no exception. 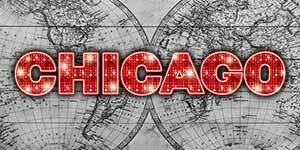 We are bringing back Chicago the Musical to the State Theatre, February 15th, 16th, 17th. Kelly: Yes, yes. 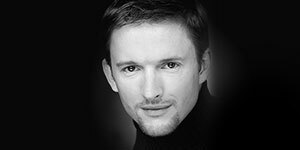 And with us today is actually one of the actors from Chicago the Musical, Kyle Dupree. Welcome, Kyle. Kyle: Thank you for having me. Thank you. Hello. Kelly: So, Kyle, a New Jersey guy, huh? Yay. Kyle: That’s right. Born and bred. Born and Bred. Bert: Standing ovation for Kyle. Nice job. Kelly: So, Kyle, where in New Jersey whereabouts are you from? Kyle: I was born in New Brunswick, New Jersey. And then, throughout my schooling, I went to school up in Union. Kelly: Nice. Well, of course, the State Theatre is in New Brunswick so we will welcome you home. Kelly: So, Kyle, tell us about your journey to Chicago the Musical. How do you come to be in this national tour? And what is your role in it, the show? Kyle: Well, let’s see. In the show I play Sergeant Fogarty, who is one of the police officers in the show. I’m also in the ensemble, which is made up of an amazing group of dancers that I am so privileged to be a part of. And, I’ll say my journey to Chicago has been a long one. It’s been a couple of years. I’ve been auditioning for this show, both on Broadway and the national tour, I wanna say, for a couple of years now. And then just recently in August, I’d booked the show, which was amazing. It’s such a great culmination of all the hard work that you put into going to auditions, and things of that nature, and then to finally, get the call that you’re actually doing the show was a pretty huge moment for me. It’s also my very first equity national tour as well so it’s really amazing. The show is incredible and I’m so happy to be a part of it. Bert: Excellent. And it seems like no matter what city this show travels to, Kyle, it’s got a buzz, it’s got an excitement. Does the cast feel that? I mean, when you’re backstage and getting ready, you feel that excitement from the crowd, particularly, on that opening night performance. I know New Brunswick is coming up. It’ll be February 15th, but there’s always a lot of buzz around this show, isn’t there? Kyle: Oh, definitely. I would say as soon as the show starts, we have one of our performers come out. She does this wonderful monologue just to get the audience embraced in the show. And then after she leaves the stage, we normally get a huge eruption from the audience. So, it just gives you a lot of adrenaline to just want to put on a great performance. Kelly: Yeah. And of course, Chicago, filled with wonderful numbers, “All that Jazz,” and just a great ensemble show. Kyle: “Both Reached for the Gun,” yes. So many great ones. Kelly: Yes. It’s just that music that you can just sing to when you’re leaving the theater and beyond. 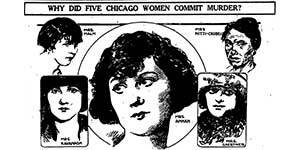 I know when I’ve seen Chicago, that music sticks with me for weeks and I just can’t get it out of my head, with good reason, right? Kelly: Of the numbers, tell us about, take us through the numbers. The process of putting these together, as a new group kicking off a new national tour, and you’re getting this together. Tell us about the process and what’s your favorite piece to dance in, or maybe a song to sing, or? Kyle: The process was amazing. I wanna say the tour has been out for a couple of years now so the new cast got together in August. And there’s definitely a bunch of new people in this cast so the show is very refreshed, it’s new, it has a lot of great energy to it. And it took us about two and a half weeks to learn the entire show, which is pretty amazing because Chicago is such a detail oriented show in terms of the acting, the singing, and of course, the dancing. Fosse is very stylized. But I wanna say that we’re nailing it and we’re doing an amazing job with it. Yeah, and from there, it’s just been an amazing, you know, route that we’re going on throughout the tour. And I just wanna say that we’re having a lot of fun with it for sure. Bert: Well, it’s gotta be fun. That’s gotta be first thing in showbiz. It’s supposed to be fun, right? That’s supposed to be part of it. Bert: And I can imagine, as this tour makes its way around the country, it’s almost like you’re moving an entire village of people. There’s wardrobe cases, and there’s scenery, and people that are moving. Just the inner workings to move a show like this, city to city to city, has got to be something pretty cool to watch. Kyle: Yeah, it’s pretty amazing. We have about four, I believe four or five, tractor trailer trucks that we travel around with us. And that carries all of our costumes, the set, as well as everything else that we need to build the set in a new town. So when we get to the new state, it’s basically just a blank stage. And we have to build this set, get the mics ready, costumes, everything that goes along with that. I wanna say it’s about 50 of us that travel around with the show, that’s including cast and crew. Kelly: Thank you for saying that. I think pretty often people don’t think about the process, right? They don’t think about how just, you know, you guys come in and then, you gotta put everything up. You gotta put everything on its rack, or the lights, everything has to, you know, work with your crew, our crew, and getting it all set up. Kelly: And so often you guys, everybody comes in, I mean, I know the crew comes in at like six in the morning sometimes, five in the morning, and loads those trucks. Kyle: Oh, yeah, it’s crazy. The crew definitely gets to the theater before we do just to set up the show, our dressing rooms, and things of that nature. They work tirelessly and are so amazing at what they do. Just because if we didn’t have the crew, we wouldn’t have a show in general. So we really appreciate the work that they do for sure. Kelly: Yeah. So take us through, and I don’t think people really hear this, but take us through like, okay, let’s just say you get to a venue like State Theatre, what time do you guys, the ensemble and the cast, what time do you guys get there? And what is your process? Is it like you lay out x amount of things? Then you go to lunch? Like what is your process when you, you know? Kyle: So normally the day before we—our travel days are normally on a Monday so I wanna say the crew normally gets to the venue Monday evening. And they’ll begin setting up the show, getting the stage together for us. And then we, as actors, don’t have to come in until, I wanna say, around 5:30pm on a Tuesday, just to get ourselves ready for soundcheck, and you know, just checking out the space, and seeing what’s going on. And then sometimes during the day, we’ll also have rehearsals as well before we even get to the theater. And then when we get to the theater, we do our soundcheck, which normally takes about an hour. And that’s just running through the cast, getting everybody’s vocals equalized in the house so that the sound sounds amazing in the show. And then we have about, I wanna say, an hour to two hours just to warm up, stretch, get ourselves ready for places. And during that time, I wanna say, the crew is doing their final touches. People are just getting ready to perform at that point. Bert: The whole process is just awesome to me. And we got enough parking for the tractor trailers, Kel? Do I have to go downtown and maybe score a few more parking permits? We’re gonna be able to house all these truck, right? Bert: All taken care of? Bert: Good. Good. If you’re on this, I’m not worried about it. Alright. 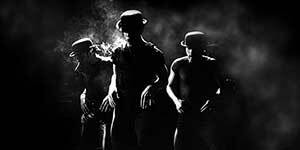 Let me give you the dates again for Chicago The Musical at State Theatre New Jersey. There’s already a lot of excitement around this. Friday, February 15th at 8pm; Saturday, February 16th at 2pm and 8pm; and it wraps up on Sunday, February 17th at 2pm. You can get tickets and information at STNJ.org. But, Kel, what makes the Broadway shows at State Theatre so special are the events that kind of happen around the actual performances. There’s some extras that people can get involved in, once again, with these shows, right? Kyle: Awesome! That’s so exciting. Bert: They all love the cast party, have you notice that, Kel? Kelly: Yes, which we invite all the cast and crew to join us. And we have some, well, Kyle, this is free food and drinks so there you go. Can’t beat that. Kyle: Awesome. My mom will actually be joining us. I’m super excited about it. Kelly: And then Saturday evening we also have invite the cast and crew to join us after the Saturday evening performance, as we have our Pride Night party. And that one is actually with a DJ. So a lot of fun times, of course, with the show, and the parties as well. Kyle: Yeah, definitely. I can’t wait. I’m really looking forward to it. And performing in my home state, of course, is just the icing on the cake. Kelly: Nice. And so, Kyle, take us back. You know, we kind of touched on how you got to Chicago and all the hard work that you put in to make it to this national tour. Was this something that you always wanted to do? Did you always want to be an actor? Did you always want to sing? Did you always want to tour? Kyle: Definitely. I want to say, when I was younger my mom always was telling me to sit down somewhere cause I was always jumping around, always dancing, or doing something. And then when I got to high school, that’s when I really started to hone in my skills of theater. I went to Union High School and they had a performing arts company there that I got really involved in, really started to fall in love with the musicals. And then from there, I ended up going to a dance school in North Plainfield, New Jersey, which is Broadway Dance Theater. And then from there, I ended up really falling in love with dance and I ended up going to college for it. I went to University of the Arts in Philadelphia. So I love the tristate area, obviously. But, yeah, just really Chicago has definitely been on my radar for sure. It’s one of those shows that is a classic and it’s an American history, at this point, because it’s been on Broadway for 22 years, which is pretty incredible. And just to be able to get out on stage every night and perform this classic Fosse style is definitely a dream come true for me. It just mixes in so many elements that I appreciate, jazz dance, ballet, everything is like kind of incorporated within this movement. And I just feel super honored that I’m able to carry on his legacy every night. Bert: Always makes me happy to hear when someone, a performer sets their sight on a show and says, “You know what? Someday I’m gonna be in that show.” And then it happens. Kyle: Actually, when I was in high school, my very first Broadway show my mom took me to was Aida. And that show just changed my perception on theater because I saw a lot people in the cast that looked like me and I saw a lot of representation as to where I was like, “Okay, I can actually do this. I can be on the stage.” And then from then on, I just started discovering other musicals and Chicago definitely came across my list. And to be to in the show now and seeing it when I was younger, like 17, 18, being 30 now and being able to do the show is like so surreal sometimes. I definitely have to pinch myself backstage when the downbeat drops cause I’m like, “Wow, you’re really doing what you have been setting out to do your entire life.” So, it really is quite amazing. Kelly: Awesome. And we very much look forward to it. So, Kyle, for all those folks that are kind of on the fence, should they come or should they not come, why should they come to see Chicago The Musical? Kyle: I mean, besides the fact that I’m in it. No, I’m kidding, I’m kidding. You should come see Chicago The Musical because not only is it the Broadway show that is currently in New York, it’s right in your backyard in New Jersey. The show is amazing. Very talented people on the stage. And why not enjoy a night of theater? Bert: Yup, no doubt about it. So we look forward, of course, to the show, again, coming up. It’s February 15th through 17th, four performances. And again, a lot of events around the actual performances, too. All the information and, of course, buy those tickets at STNJ.org. New Jersey’s Kyle Dupree. What an honor to speak with you on the show this week. And we’ll catch up when you come to town very soon, all right? Kyle: Yes, thank you for having me.